Attention all lovers of free DLC and angry, bitey plants! You have just one week from today to claim your free Piranha Plant DLC character for Super Smash bros. Ultimate. Yes, because 74 lovely characters just aren't enough, Piranha Plant is scheduled to arrive as the first bonus character "around" February - that's next month! If you already own a copy of the game, or if you grab it over the next few days, you'll be able to snag the fighter as a free bonus. Don't forget – there's only one week left to claim the fighter Piranha Plant as free downloadable content in Super #SmashBrosUltimate! 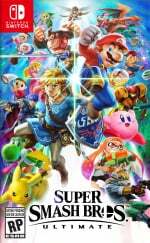 If you haven't picked up your copy of Smash Ultimate yet, now might be a good time to do it. Piranha Plant will be available as paid DLC for those who don't register before the date, but who doesn't like free stuff? Have you secured your Piranha Plant DLC? Are you excited to try it out when it arrives in-game next month? Let us know in the comments. Once you have the code though, you have until June to redeem it. The email containing the code will also provide a link to claim the Piranha Plant DLC via a Nintendo Account login on the applicable Nintendo website. That's how I claimed mine, manually inputting the code is not necessary. Excited. Looks like a really fun character. Love any that feel unique, (i.e. not another sword fighter). I’m still confused to what to do if you download the game. @brandonbwii "If you purchased the game digitally, this is done automatically;"
I think we just wait! I wasn't aware you were emailed a code. I redeemed my points on my physical copy, but I never recieved a code. That was maybe 2 weeks ago. Does this process take a while? @jtmnm I got my code a few weeks later. It was the same when I subscribed to the online service. Took a good few weeks to get the Splatoon outfits code. Don't worry, I took care of it as soon as I got the game. Shoutout to the genius who thought of putting the Aussie Olympic colors on one of the skins! What an absolute mess it is to claim Piranha Plant. You still have to unlock the character in the game after you have redeemed the code I presume? You know I'd been wondering if my email was ever going to arrive and it turns out I never registered my copy whoops. @brandonbwii If you download the game it should send you the email on its own. @SuperGhirahim64 You didn't have to unlock DLC characters if purchased in the Wii U/3DS versions. When you bought them (or entered a code for them, like in the MewTwo Club Nintendo promotion), they just show up on the roster ready to use. I wouldn't think this would be any different. One of the first things I did after getting the game. Valentines day release date anyone? He is a "flower" after all. @rjejr I know that pain. I've done that more than once with Wi-Fi passwords. I already use Duck Hunt as my troll character and I can’t wait to try out the plant 🌱 lol. Can i redeem the email code now or do I wait until its released? @jtmnm Only took a day or two for me. still have not gotten my DLC code for the piranha plant and i purchased a digital version of the game. maybe i should have gotten the physical version instead. hopefully they key isn't hiding inside the eshop in a location that will never be found. @brandonbwii @Carnictis If you purchased digitally they should have sent you the code back shortly after you purchased it. You do still have to enter the code. If you didn't get the code (and it's not in your junk mail/spam folder...be sure to check, because for some reason most spam filters seemed to grab that email....) you may have to contact Nintendo. It is annoying though to put a code in and not have anything happen. But I guess its basically the digital version of a pre-order. @brandonbwii check your email, my son's code was in an email with the subject line 'Thank you for purchasing Smash..." or something like that, and it didn't mention Piranha Plant at all. It was easy to overlook as I thought it was just a default message after buying the game, but the code and the instructions were inside. @brandonbwii Nothing. It’s included automatically with the DL version. @jtmnm It took some time for me, but not 2 weeks. Look it up in the email you have registered your Nintendo Account, even in your junk/deleted categories. It should say: "Thanks for buying Super Smash Bros. Ultimate" or something like that. I'm hoping my code worked correctly. Entered it a few days after puschasing but stupidly (and accidentally) cancelled a download after it went through which I assume was like, the confirmation? And once I tried again it said the code was redeemed. Not too concerned as I bought it direct from Nintendo but anyone confirm that there's a small download once the code is entered? @SuperGhirahim64 Its not released yet. When it is, it'll will appear on your character select screen automatically. Do I need to use the code before January 31, or does having the code mean I can use it at my leisure? So to clarify, the character hasn’t released yet, correct? 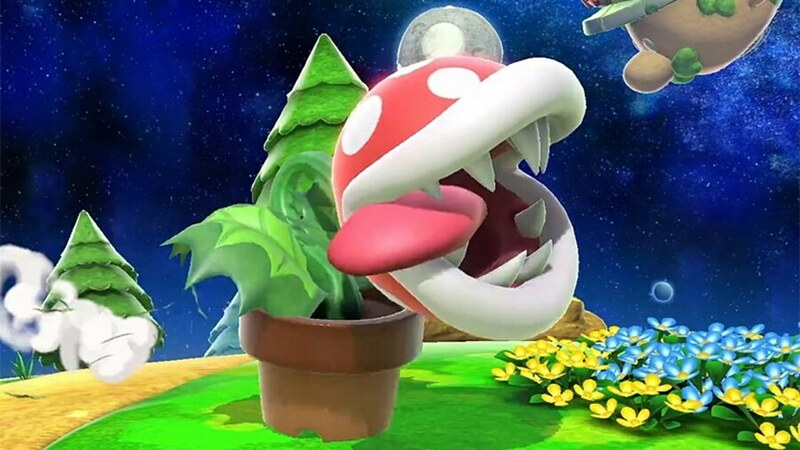 Could you imagine if Piranha Plant bit it's own tongue? Ouch. 1. Does the Piranha Plant Amiibo unlock the character in game? 2. Does anyone know the cost of the DLC? 3. Should I just buy Smash this week? @Kienda 1. No, it doesn't as far as I know. You couldn't unlock DLC characters in Smash Wii U & 3DS with Amiibo, so I guess that also doesn't work in Ultimate. 2. So the 5 DLC packs (fighter, stage and music) included in the Season Pass cost $4.99 each ($25 total), but only when you buy the Season Pass. DLC packs will also be available for individual purchase upon release for US$5.99 each. Edit: about the price of Piranha Plant when you don't own Smash before February: that's currently unknown as far as I know. My guess is that he will cost $4, maybe $5 or something. So if you already purchased the DLC bundle do you have to worry about the email? So if we clear our email regularly and weren't expecting the code so likely deleted it, are we screwed? @Saego thanks for that detailed response. I appreciate and it helps with my decision making.